The long awaited Autoflowering version of our flagship strain Monster Mass. 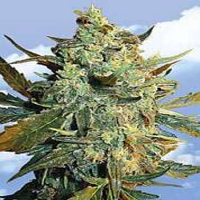 Auto Monster Mass Feminized Marijuana Seeds by Critical Mass Collective Seeds: The long awaited Autoflowering version of our flagship strain Monster Mass. As with all Critical Mass Collective strains (both photoperiod and Autoflowering) it is adaptive to its surroundings and will thrive both indoor and outside. It displays 3 main phenotypes, a neon green, slight purple and our preferred pheno "eerie blue" which, as the name suggests produces ghostly blue flowers that have a sweeter and fuller floral taste and smell than the other two. All three phenotypes pack the same levels of THC as there photo mom and will reach heights of 60 to 140cm. They are all as productive as each other and towards the end of harvest branches are literally bending over with the wait of the dense bud. Using a SCROG grow method on this plant is a great way to maximise the potential of production and promote more bud sites along its thick branching structure. 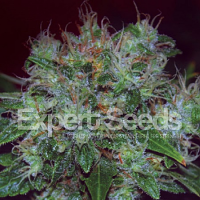 We will always recommend checking trichomes as indication of when to harvest but approx, 70 to 80 days is usually right and at this stage the Monstrous buds should be dense, swollen and dripping with trichs. SMELL: Much the same smell profile as the Original photoperiod version- big aromas of dark fruit and musky skunk (with the skunk a little more dominant because of the Big Bud influence) all mingling with earthy sweet nuances. TASTE: Same pungent flavours of Kush, heavy skunk, Blackberries and sweet Cola Cubes. It is light and fruity on the inhale and extremely hashy on the exhale, leaving a light sweet citrus taste on the lips. EFFECT: Sedative- effects can last 2.5 to 3.5 hours with full on body and mind melt. Muscle relaxant, couch lock qualities and a real appetite stimulant. Nothing has been taken away from her in power by introducing the Automatic lineage. BAG APPEAL: Beautiful, opal coloured nugs with shrinking red and orange hairs. Large, perfect density flowers, dusted with that classic, golden Monster Mass shimmer. Very resinous and extremely smelly, these flowers will fill a room with an exotic, sour aroma in minutes.